Hawaii Gas evolves to advance renewable energy while maintaining its core business. Hawaii’s energy landscape is undergoing a major transformation. As the state that is most dependent on imported oil, Hawaii is focused on reducing its reliance on fossil fuels and increasing energy efficiency. The Hawaiian Islands already have abundant natural resources (such as wind, solar, geothermal, biofuels and hydropower), and Hawaii is becoming a laboratory and proving ground for clean-energy technologies. In 2015, Hawaii became the first state to set a goal of generating 100 percent of its electricity from renewable energy sources. It mandated a deadline of achieving this goal by 2045. Hawaii Gas is committed to making a positive, sustainable energy impact and is providing leadership in this energy transformation. As a company with deep roots in the islands, we understand the importance of bringing people together in the spirit of collaboration to create innovative solutions to advance a cleaner energy future. We are working to advance renewable energy in Hawaii, while maintaining our core business of providing customers with reliable gas energy for their homes and businesses. As the state’s only gas utility, Hawaii Gas has been delivering gas energy throughout Hawaii since 1904. We serve more than 68,000 residential and commercial customers statewide. Our utility business serves approximately 35,000 customers, and our propane tank and cylinder division serves about 33,000. Hawaii Gas has the largest team of gas energy experts in the state, with more than 300 professionals. The company has offices on all major Hawaiian Islands: Oahu, Hawaii, Maui, Kauai, Lanai and Molokai. We supply gas energy to nearly every major market segment including residents, military, foodservice, hospitality, healthcare, education, government and agriculture. Hawaii Gas is a subsidiary of Macquarie Infrastructure Corporation (MIC) which provides the financial backing for our company to become a leader in Hawaii’s clean energy future. 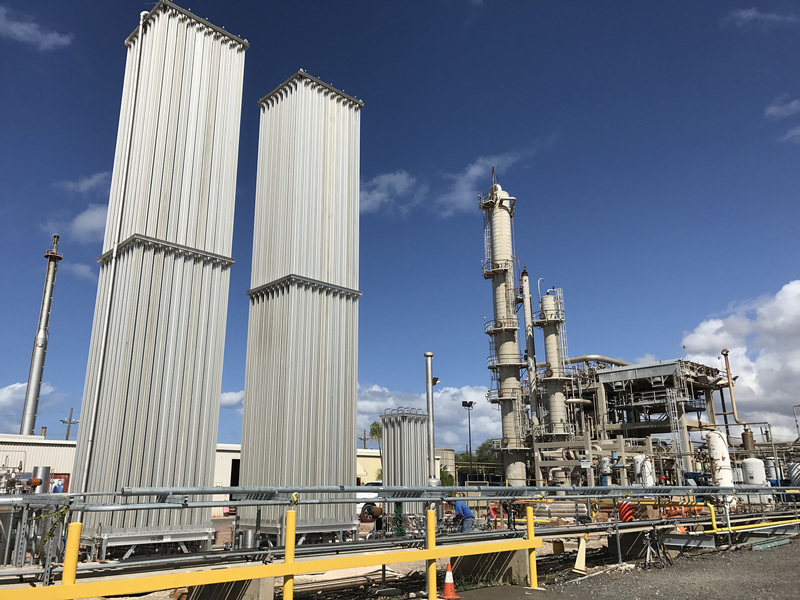 Hawaii Gas is investing in renewable natural gas (RNG), which can be captured from wastewater treatment plants and landfills, or developed from energy crops. The company received approval from the Hawaii Public Utilities Commission (PUC) in September 2017 to install equipment to capture and process previously unused biogas from Honolulu’s Honouliuli Wastewater Treatment Plant. This will contribute up to 800,000 therms per year of RNG to Hawaii Gas’ existing Oahu utility pipeline. This first-of-its-kind project in Hawaii will benefit Honolulu by providing about $1.6 million of revenue per year. This project will also eliminate the need for approximately 15,000 barrels of oil and reduce greenhouse gases in the city by the amount produced by 400 cars annually. Hawaii Gas will invest about $5 million in the project, which is estimated to be operational by the end of 2018. Incorporating cost-effective RNG as part of our fuel mix is a key priority. We look forward to pursuing similar projects that deliver renewable fuels to our customers and new revenue streams to Honolulu. This is a win-win partnership for city residents and our customers. In August 2016, Hawaii Gas dedicated Oahu’s largest active solar farm at that time, expanding beyond gas energy to serve the people, businesses and communities of Hawaii. The Waihonu Solar Farm, situated on 12 acres of land on the grounds of Honbushin International Center in Mililani, became a subsidiary of MIC. It is comprised of Waihonu North LLC (5 MW) and Waihonu South LLC (1.5 MW), for a combined total of 6.5 MW. Waihonu Solar Farm is contracted to sell electricity to Hawaiian Electric under a power purchase agreement, and it can power approximately 1,000 homes. Another interesting sustainable aspect of the Waihonu Solar Farm is that it integrates farming and technology. 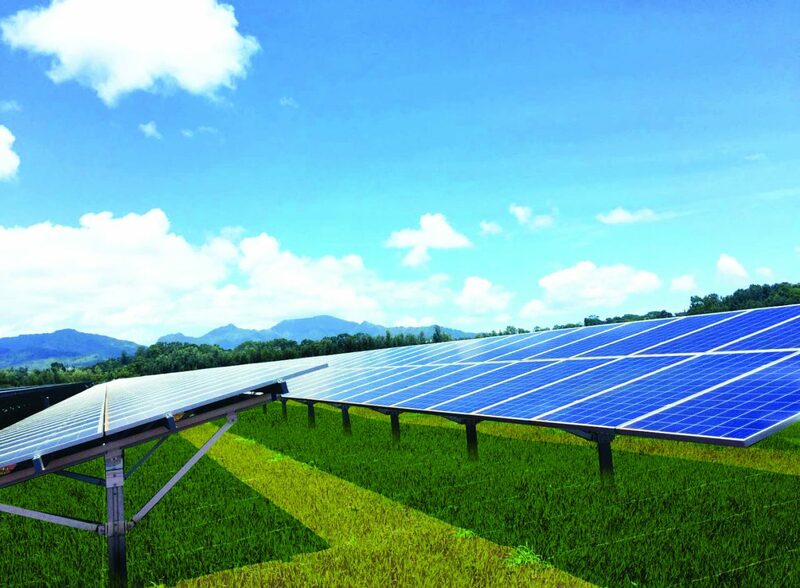 The solar farm’s landscaping program incorporates sheep grazing under the solar panels, reducing dust from traditional grass-cutting, which can lower the efficiency of solar panels. The Waihonu Solar Farm represents an important milestone in our efforts to support Hawaii’s clean energy goals. Hawaii Gas manufactures synthetic natural gas (SNG) from naphtha obtained from a neighboring oil refinery. As part of our fuel diversification strategy, and to reduce reliance on the oil-based byproduct, we sought and received approval from the Hawaii PUC to use liquefied natural gas (LNG ). In June 2017, we broke ground at our SNG plant with a Hawaiian blessing. The project is expected to be completed by the end of 2017 to begin injecting vaporized LNG into our 1,000-mile utility pipeline on Oahu. With this project, we are assisting in Hawaii’s continued move away from imported oil. By incorporating LNG into our fuel mix, we will become less dependent on a single oil-based feedstock supplier. In addition, incorporating a cleaner fuel source will add to our reliability, will mitigate cost volatility and could lower costs. Hawaii Gas believes that by providing “Good Energy” in all that we do — from the quality of our products and services to supporting the communities we serve — we will contribute to a brighter future for the people of Hawaii. Hawaii Gas recently launched an innovative project to help mitigate our state’s homeless population, which has been a growing problem. 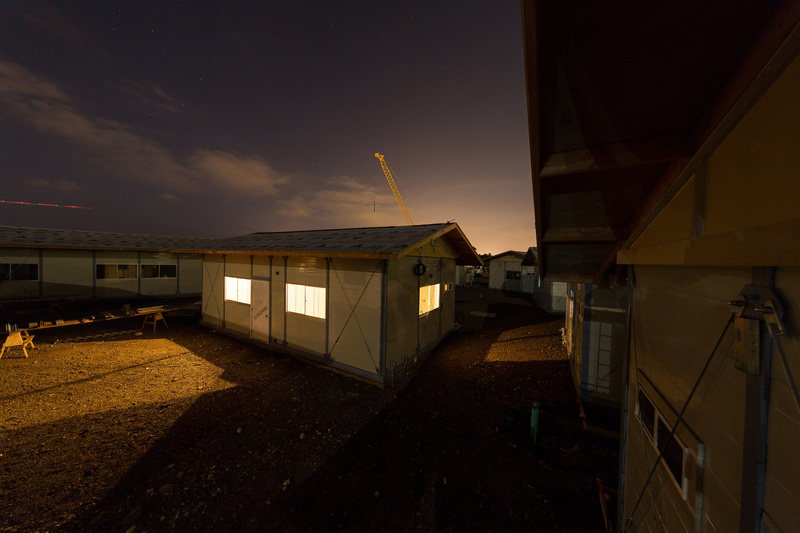 Kahauiki Village, which broke ground in July 2017 in Honolulu, is a planned community of about 150 modular living units for more than 600 homeless adults and children. Led by Hawaii businessman and philanthropist, Duane Kurisu, the aio Foundation is building the village on approximately 11 acres of land between Sand Island and Keehi Lagoon Park. Homeless families will be able to rent one- and two-bedroom modular units that include a kitchen and bathroom. This unique public-private partnership to serve the homeless is the first-of-its-kind project in the nation. In addition to helping those most in need, Kahauiki Village will demonstrate how gas can work in tandem with solar energy as an important and reliable energy source. Hawaii Gas donated propane tanks that will supply gas for cooktops and ovens in each living space. Onsite commercial laundry facilities will also be powered by gas, as well as the backup electrical generators for the site’s solar photovoltaic and battery power sources. Hawaii Gas is proud to be part of something that can serve as a model for other communities. We are committed to being a force for positive change, partnering and collaborating with others to create solutions that benefit Hawaii’s communities. Hawaii Gas has continually served the Hawaiian Islands for more than 100 years, including through the bombing of Pearl Harbor and through the transition to becoming a world-class destination. Many things have changed since the founding of our company, and Hawaii Gas continues to respond to changes by transforming how we do business. We are fortunate to have a dedicated team committed to excellence in serving our customers and our community. That is what gives us confidence for our resiliency. Alicia Moy has been president and chief executive officer of Hawaii Gas since 2013. 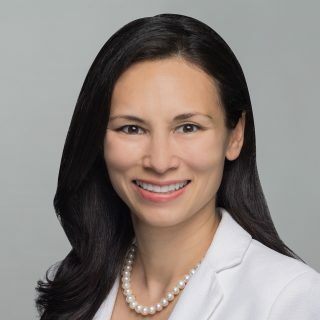 Prior to that, Alicia was senior vice president at Macquarie Infrastructure and Real Assets, where she oversaw corporate strategy, funding and management of several Macquarie-managed utility and energy companies, including Hawaii Gas.